Lock in a great price for Sagopearl Guest - rated 9 by recent guests. Good location, easy to find. Very friendly and welcomed with tea and biscuits, can’t fault the hosting. Very good breakfast. Have bicycles to rent which is a great way to explore Mirissa. Fair price. Amazing location, with amazing food and amazing hosts! 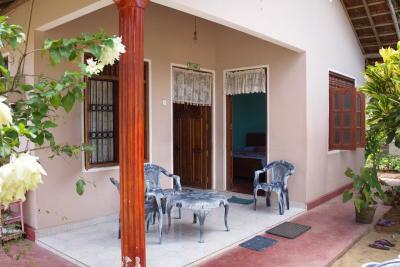 Very welcoming and friendly, just a short walk from the centre of mirissa. We had whale watching organised too which was very cool! Definitely recommend! Lovely owner who are very friendly and very helpful! She helped us finding a scooter to rent (was there within 15 minutes), helped us which beach to go to - secret beach is definitely worth the walk if you're not so much into the tooo many turists, and also her cooking is amazing!!! We highly recommend! The family are so so lovely, made us feel very welcome, the breakfast the lady makes are out of this world the best we have had the whole trip. Got tea biscuits and fruit on arrival, lovely touch. We struggled to leave and are so tempted to go back. Perfect hostel, delicious breakfast and awesome family! The location was great and the family were perfect hosts and made us feel very welcome. The food was great and were very big portions. Had the best nights sleep of our trip so far, was nice and quiet. Good location near a bus stop. Sumitha is a very friendly and welcoming person, she’s always smiling and offer whatever helps you need. Nice breakfast and welcome tea. Would definitely stay again if I’m in Mirissa. They also provide cheap whale watching tours. 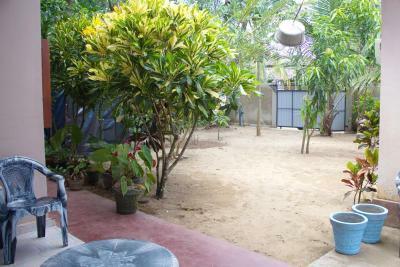 Located in Mirissa, Sagopearl Guest has a garden, shared lounge and free WiFi. 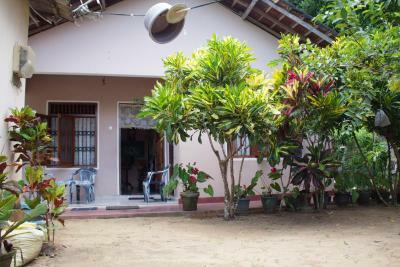 This property is set a short distance from attractions such as Whale Watching Mirissa and Mirissa Beach. The accommodation provides a 24-hour front desk. At the guest house, the rooms have a desk. 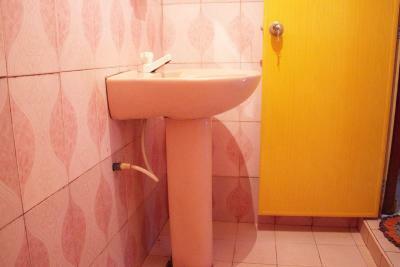 Rooms have a shared bathroom. 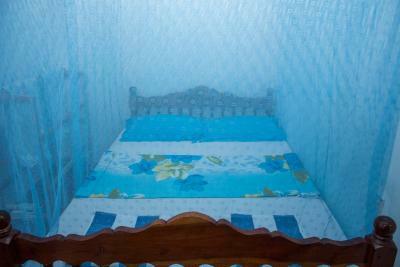 Weligambay Beach is 0.9 miles from Sagopearl Guest. 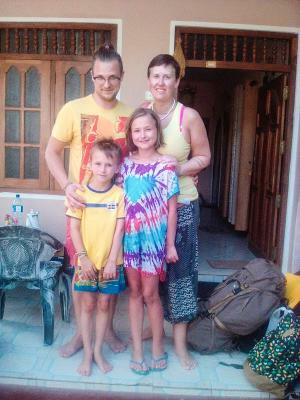 Sagopearl Guest has been welcoming Booking.com guests since 21 Oct 2015. When would you like to stay at Sagopearl Guest? This family room features a dining area. House rules Sagopearl Guest takes special requests - add in the next step! Shared bathroom which needs updating. The whole place is just a bit dated, the pictures must have been taken a long time ago. Very poor breakfast. Only one bathroom for all guests. 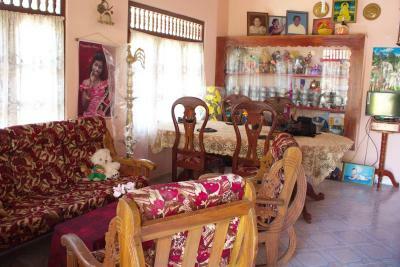 The nicest people in all of Sri Lanka. They made our stay so beautiful. From the minute we arrived we felt welcomed (plus delicious tea and snacks). 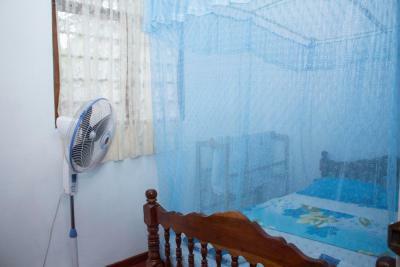 The rooms are clean with mosquito net and fan. Sharing the bathroom is not a problem because there aren't many people around. Nice distance to the beach. The rice and curry is spectacular! The breakfast was also great! 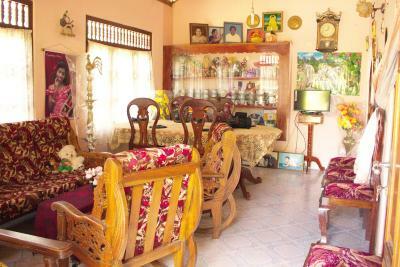 If you want a genuine experience with a lovely family stay here! Same story as everywhere we have stayed in Sri Lanka, the Wi-Fi was slow. There was a lot of mosquitos and there was only a fan in the room so it got really hot. Also, only 1 toilet/shower to use between everyone. 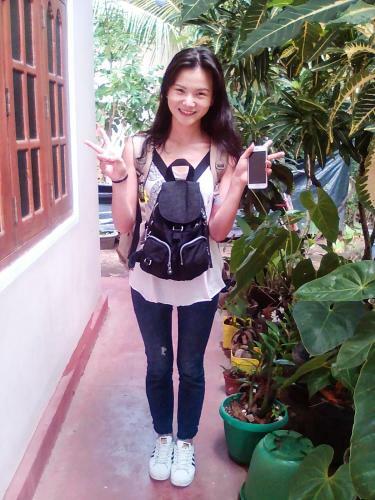 The owner of the guesthouse is the most adorable woman, she went the extra mile to help us with everything. 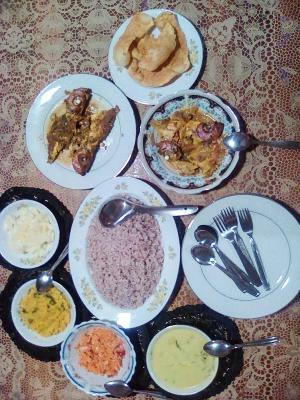 Her food was amazing, and was made fresh every morning for breakfast. She helped us organise whale watching with a discount and when we got back after a long day there was dinner waiting for us on the table. Lovely family, felt truly looked after.